President Obama finally declared us a disaster area, meaning that flood victims are now eligible to receive FEMA aid. To apply, call (800) 621-FEMA. The rumors of the city shutting off water are absolutely untrue. Don’t believe your Facebook friends, don’t believe your coworkers, don’t believe your neighbors… just conserve. Easy enough, right? And by “conserve” we mean don’t panic and fill your bathtub. Be smart about it and use as much bottled water as you can in place of tap water. Metro Schools are closed tomorrow for the third day straight, and they may not have to make up the days. Four teens were rescued after going missing earlier in Williamson County after trying to go canoeing in the Harpeth River. Power will probably be out in parts of downtown through the end of the week. NES is trying hard, but they can’t do much until the water recedes. Public health officials are a little concerned about the effects contamination in the floodwaters. MTA and RTA will resume bus service starting Thursday on a limited basis. The buses will be running on a Sunday/Holiday schedule and they’ll be free. Music City Star is still down for the count. 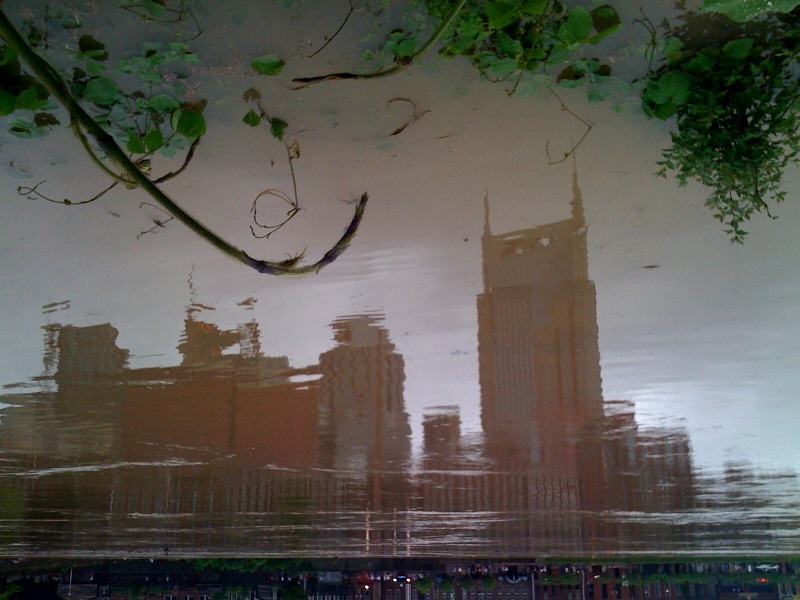 WSMV takes a look at what flooding victims should do if they don’t have flood insurance, which describes the situation for most folks in Middle Tennessee. Now that the flood waters are receding, road crews are having a heckuva time assessing the damage. The Army Corps of Engineers are saying that all the water they released from area dams yesterday prevented a bad situation from getting much worse. The Metro Nashville Police Department is getting a real workout this week.